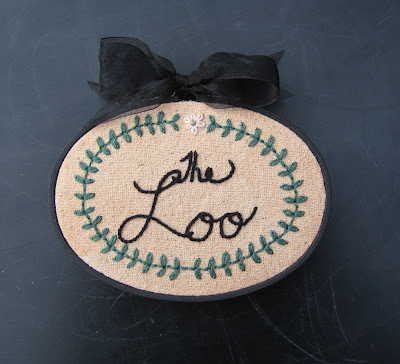 An embroidery for the bathroom, doesn't everyone need an embroidery for the bathroom? This is too cute... I love it!